We have a great range of gloves that will suit all users and budgets. 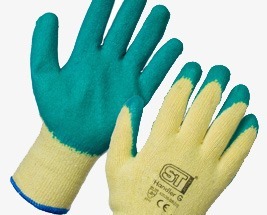 From full knitted PVC to nitrile coated, as well as a range of rigger gloves for adults and children. Our gloves come in different colours and sizes for a perfect fit, and are perfect for litter picking and clearing, as well as any type of manual labour.